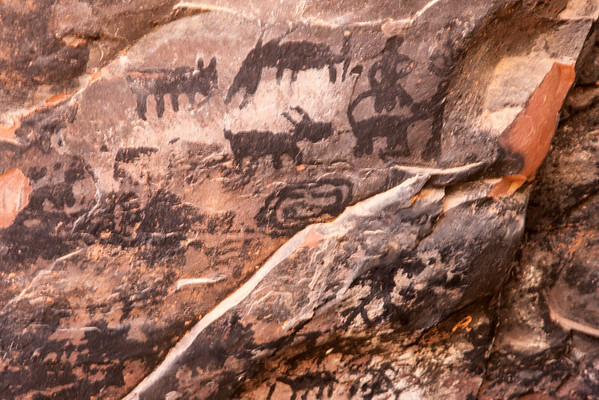 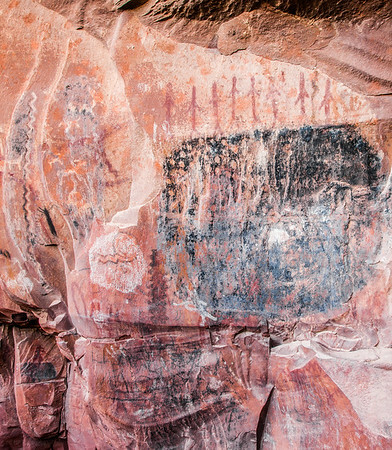 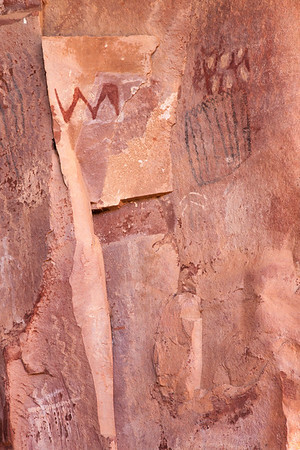 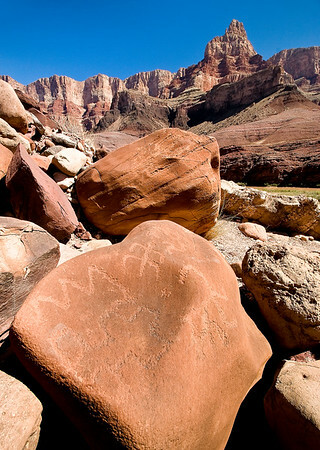 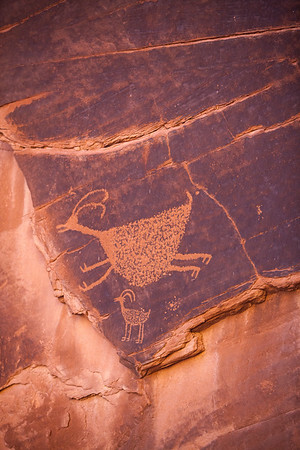 There are two types of rock art: petroglyphs (motifs that are pecked, ground, incised, abraded, or scratched on the rock surface) and pictographs (paintings or drawings in one or more colors using mineral pigments and plant dyes on the rock surface). 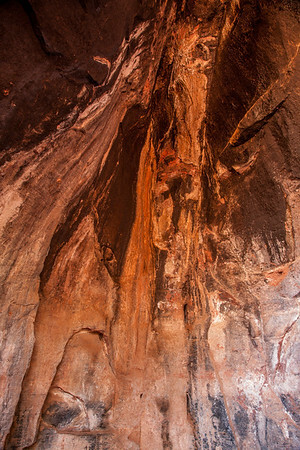 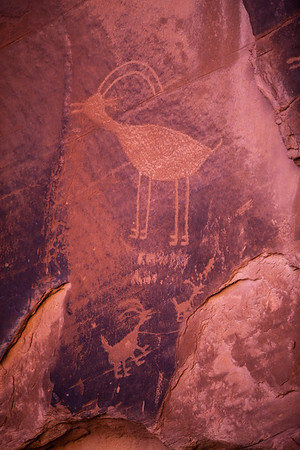 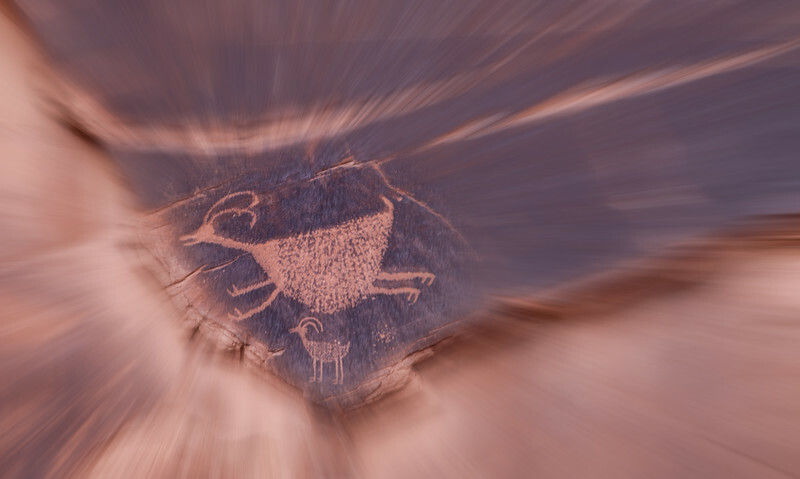 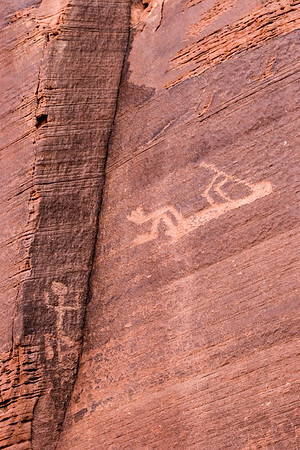 Although many images may have originally been executed as a combination of both techniques, most now appear only as a petroglyph because the paint material has faded or washed away over many years. 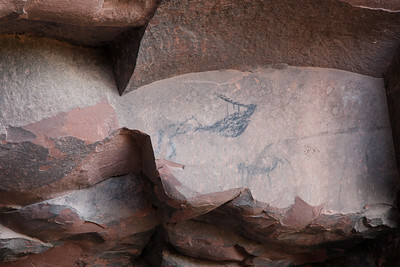 On closer examination you might be able to see a painted design accompanying the pecked image. 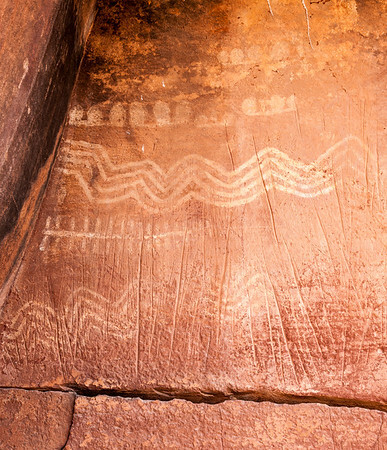 The patterns and motifs may be similar, but are never quite the same. 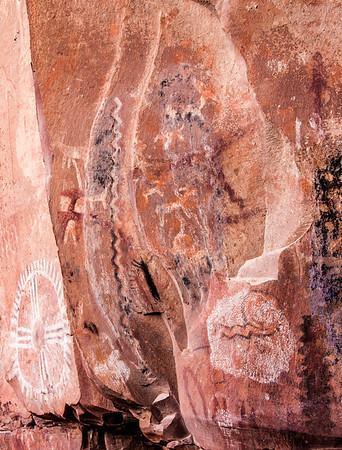 Styles vary from place to place, and from people to people. 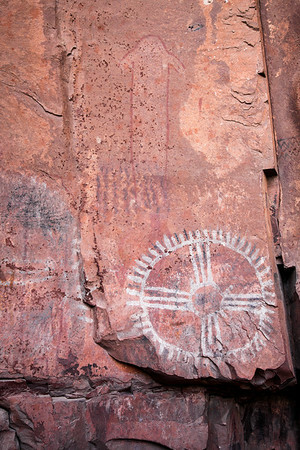 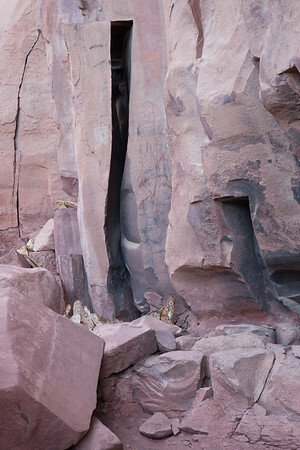 Most of these images were taken in Sedona, Monument Valley and Southern Utah.